Barb Moore began grooming in 1990. 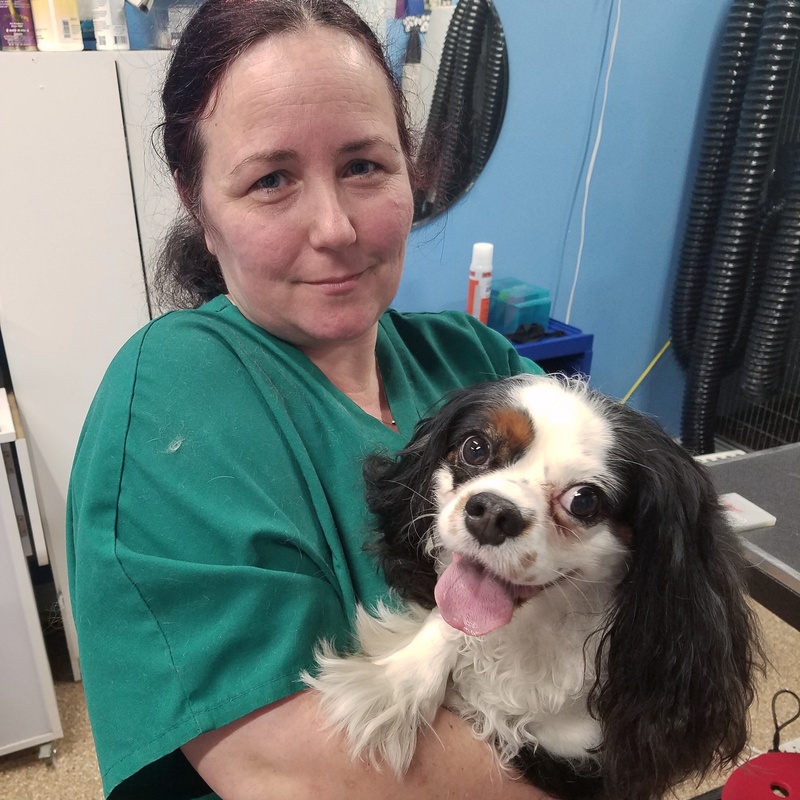 As with many successful groomers, she learned by starting as a bather and then working her way through an apprenticeship program to full groomer. She has established two grooming salons during her career and worked as a pharmacy tech at a local veterinary clinic. She joined the Bark ‘N Bubbles team in July of 2015 and specializes in grooming small to medium sized dogs. Barb has had a life-long passion for animals. Over the years her animal friends have included a miniature poodle, a Shepherd/Chow Chow mix, a Great Dane, and several cats as well as ferrets.